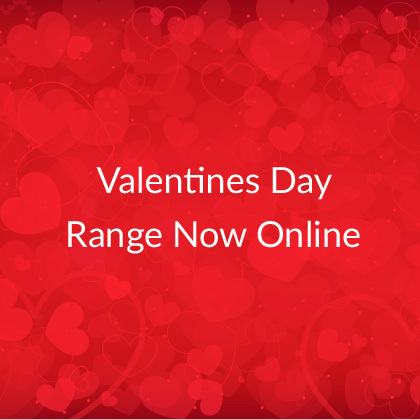 After a busy 2018 and successful Christmas period we are pleased to kick 2019 off with our Valentines Day section, you can now view this online for early access! As usual you can find our blend of the best designs from the strongest suppliers in our industry. We have also added appropriate product lines that will help with up-selling to your customers, making the most of the seasonal opportunity. Take a look at the Valentines Day section. We are pleased to showcase our full range of wholesale Christmas cards for 2018. Our buyers have selected the very best of the latest designs from the most well known and trusted publishers in the industry. We have brought these together in one convenient place so that you can select lines that are appropriate for you ensuring that you make the most of your retail environment. We have made some new relationships with premium high street brand publishers to offer higher price points giving you the opportunity to make more margin per sale as well as offering a higher tiered product range. We will be adding to our premium ranges over the coming months into our Everyday sections too. Take a look at the premium Christmas card range, we are loving those designs. We have split the cards into logical sections so that you can cover all of the important titles necessary to complete a good range of cards. We are still adding products to these sections, if you have any questions please feel free to contact us on +44 1603 701225. We are very pleased indeed to announce that we are finalists in the ‘best greeting card service based wholesaler’ category at the Retas Awards for 2018! We were over the moon to win the award in 2017 and we are very happy that we are in the running again for 2018. The Retas awards are the only dedicated awards for the greeting card industry, organised by Max Publishing and PG, the awards are considered a true accolade. 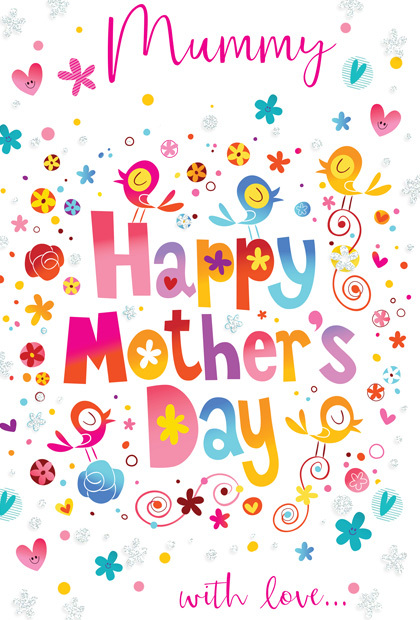 We would like to take the opportunity to thank our customers & we will keep our fingers crossed until July. For the third year running Archway have been nominated in the Best Greetings Card Wholesaler category at the Retas awards. 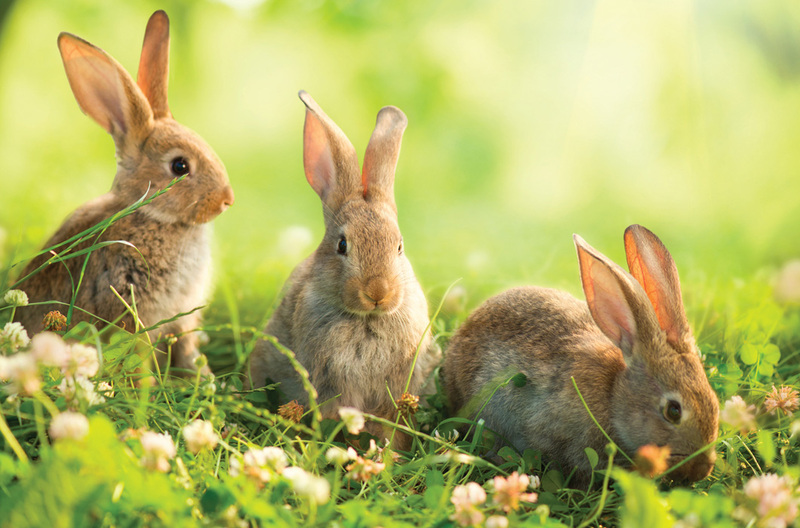 The Retas were launched to recognise and celebrate the tremendous contribution that large and small retailers make to the greetings card industry. The first awards were given in 2005 and have run annually ever since. Now in their thirteenth year, the Retas have become the most anticipated event in the calendar. Many within the industry consider them the Oscars of the greetings cards market! Archway have once again been nominated in the Best Greeting Card Service Based Wholesaler category amongst some of the biggest names in the business. Behind the scenes, we’ve been working hard to ensure that we’re offering every customer the best possible experience. To win this award for the first time would be an amazing tribute to all the hard-working employees of Archway Cards. The awards take place on Wednesday 12th July at The Dorchester Hotel in London and it promises to be a momentous event for all involved. We would like to wish any of our customers who have been nominated the best of luck and we’re excited to be part of this prestigious event. We’ll let you know how it goes in July! We have a vacancy for a new member of staff at our busy and growing distribution centre based on the outskirts of Norwich. We are a friendly wholesale distributor specialising in greeting cards, partyware and a range of other products. A family business, we are looking to add the right candidate to our existing team. We are looking for a full-time warehouse assistant to work on our inward stock requirements. Merchandise stock into our warehouse areas. Working to unload and check sometimes heavy inward stock deliveries. Assist lorry deliveries with fork lift operation. Assist staff with customer deliveries. Update our internal computer systems with stock information. Various other tasks associated with general warehouse work. The ideal candidate will have some experience of working in a warehouse environment, be computer literate, have a forklift licence (not essential) with a positive and motivated work ethic. To apply please send your CV via email to [email protected], we will require 2 verifiable references, one from your previous employment if applicable. The expiry date for applications is 01/02/2017, thank you for your interest. We hope you had a good Christmas and New Year. 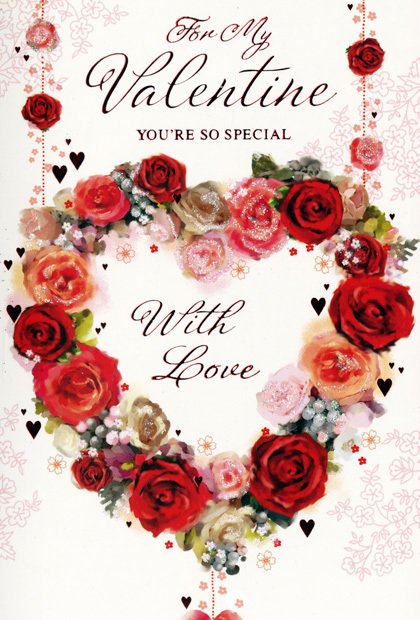 Now that 2017 is here we have added our range of Valentines Day product which shows a variety of attractive greeting cards, gift wrapping, foil balloons and giftware. A new year means an updated range of year cards from Simon Elvin. We have updated our year cards range here. 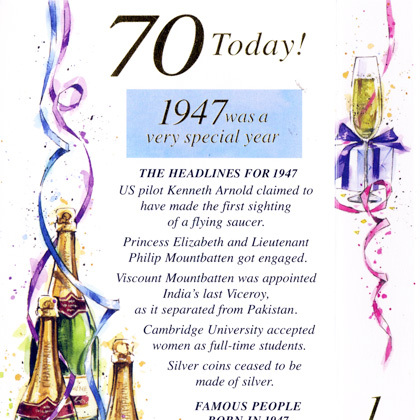 These cards are designed with interesting events and facts from the year of birth noted by the age on the card.